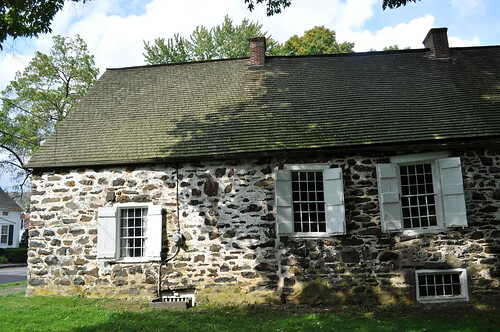 Historic Huguenot Street features seven unique stone houses dating to the early 1700s built by French Huguenot settlers. 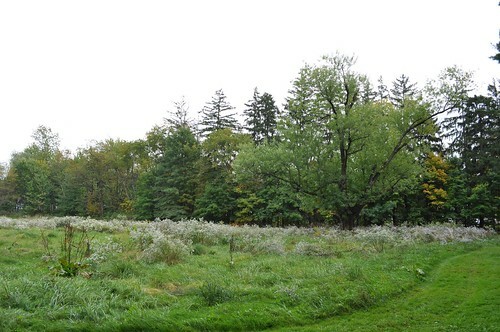 Huguenots from Northern France and modern day Belgium purchased 40,000 acres of land in the Mid-Hudson Valley from the Esopus Indians in the late 17th century. 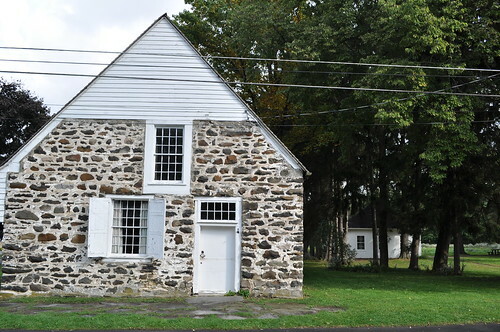 Small communities developed and thrived in the valley including New Paltz. It has been very difficult for me to find written material on Huguenot houses, immediately after the Revocation of the Edict of Nantes in 1685. Silver art and silk art, yes; architecture, rarely. So your post, and in particular the photos, give us more visual proof of Huguenot taste. I don’t think that my family’s branch were in the Hudson Valley but I was aware of the settlement there while doing research on them. My family’s branch settled in the Boston area and eventually ended up in rural, northern NY state. Oh wow lori your family has huguenot hertiage? 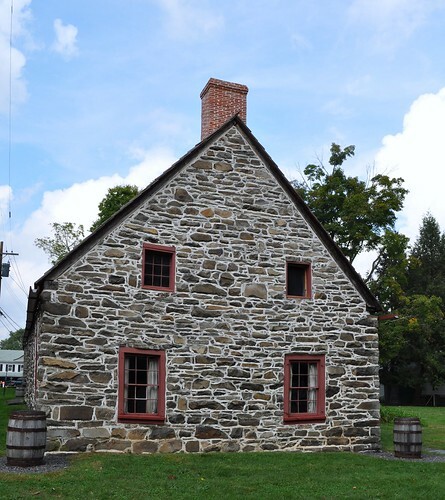 The stone houses are scattered all over the hudson valley. A great trip in the fall! 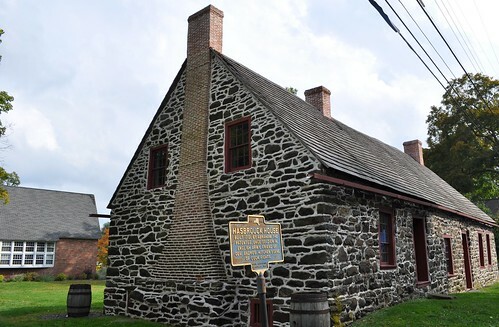 I’ve been interested in seeing this collection of houses ever since I found out about my own family’s Huguenot heritage. 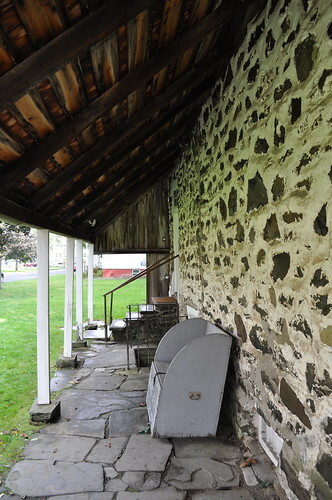 I love the stone work on the exterior. I don’t know about the green windows, but I think that first room could use some serious joist sistering or something. these look so beautiful. makes me wish i was at greenfield village right now! 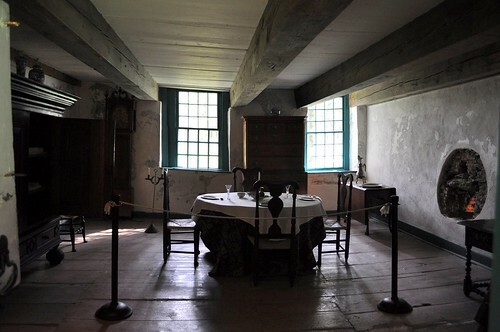 to be immersed in true, living history… nothing quite like it, huh? Thanks for the shout out! It is always great to hear good things about our site. While we’re open most of the year, the next couple of week will be a particularly good time to visit — we’re full of autumn colors! I love it there. We went a few years ago and I’m thinking we might head back up that way next week before all of the fall colors are gone. Thanks for sharing!